Allegra Boverman/Gloucester Daily Times. 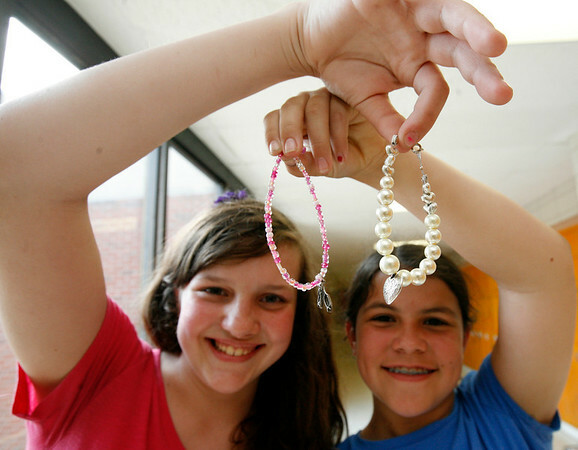 During the jewelry making afterschool program at O'Maley Innovation Middle School on Monday, sixth graders Marissa Wonson and Gillian Gibbs show off bracelets they made. Students also made necklaces, earrings, suncatchers, their own charms, key chains and special sets of jewelry for Mother's Day.